Bookworms rejoice! These charming comics capture exactly what it feels like to be head-over-heels for hardcovers. And paperbacks! And ebooks! And bookstores! And libraries! 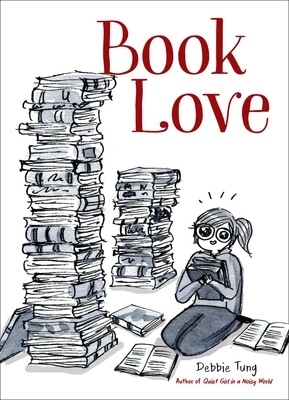 Book Love is a gift book of comics tailor-made for tea-sipping, spine-sniffing, book-hoarding bibliophiles. Debbie Tung’s comics are humorous and instantly recognizable—making readers laugh while precisely conveying the thoughts and habits of book nerds. Book Love is the ideal gift to let a book lover know they’re understood and appreciated. Deborah “Debbie” Tung is a cartoonist and illustrator from Birmingham, England. Her comics are based on simple everyday life moments and her love for books and tea. She currently lives in Birmingham, UK, with her husband.